Predicting the success of a national championship race isn't a simple task. A number of variables can always define a race, from weather conditions, to course terrain, to cross-country road travel, all the way to the amount of sleep an athlete gets or what he/she eats the day before and the day of. Only seven girls have broken 17 minutes on the Balboa Park course all-time, though there's a chance a few more could add to that list on Saturday. The top time came nearly 30 years ago, in 1990, when Melody Fairchild netted a win in 16:39.20 in what then was called the Kinney Cross Country Championships. 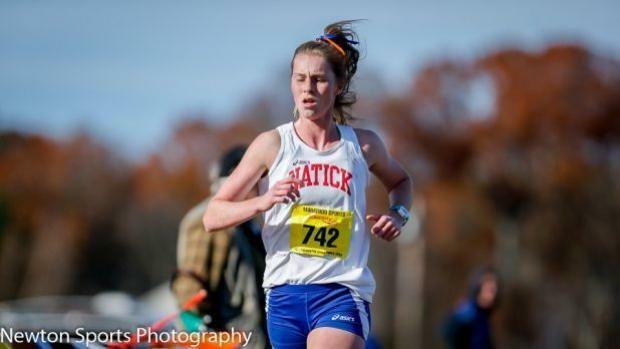 Below, we've compiled some key numbers for the 40 girls runners ahead of Foot Locker Nationals. We've ranked the field's best PR of 2018 first, then included regional times and speed ratings via TullyRunners.com. The best way to describe speed ratings are that they can be used as seeds heading into a big race. The actual speed ratings will vary from race to race--and often can go up or down a few points based on the race--but these numbers give a composite ability of an athlete.